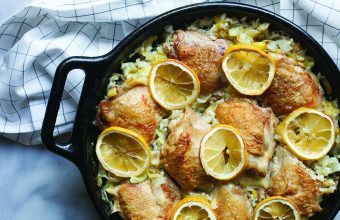 Combine all ingredients except lime juice and toppings in a large Dutch oven. Bring to a boil, reduce heat to medium and simmer for 60 to 90 minutes or until chicken is tender. Skim the foam from the top of the soup, and using two forks, shred the chicken directly in the pot. Stir in the lime juice and check seasonings, adding more salt and pepper if needed.